264th day of the year. There were then 101 days left in 2018. 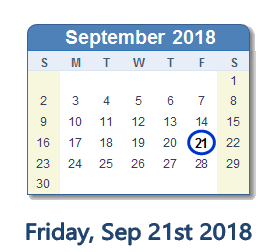 What happened on September 21st 2018? Since the Universe has no center, you can’t be it.